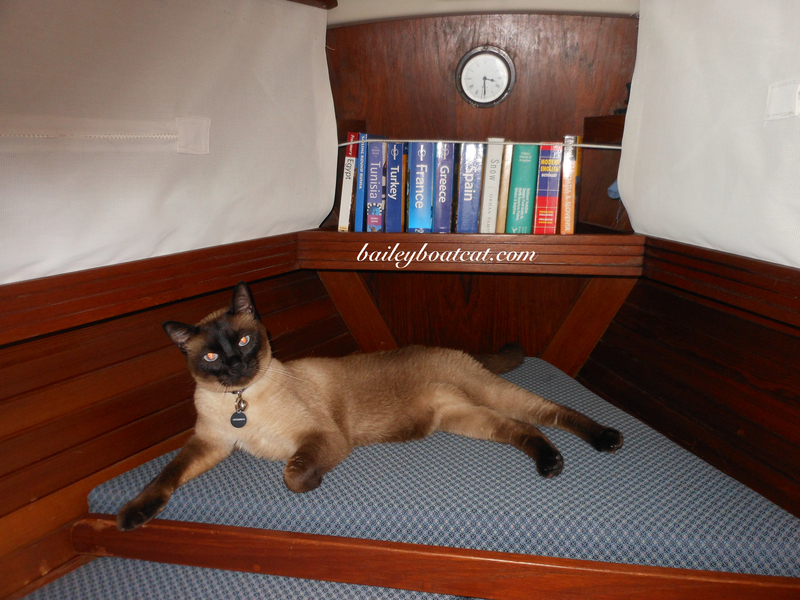 I’ve had a pawesome day today checking out my dear furiends John and Bobbie’s boat, Quickbeam. She’s had a deep clean since she was on the hard for so long and now she’s back to looking and smelling beautiful and she’s FLOATING! 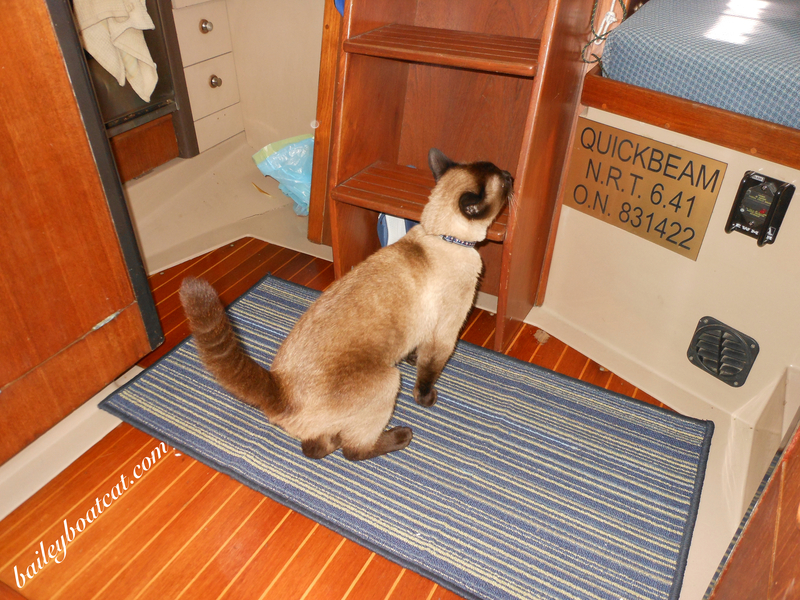 I made myself right at home very quickly because Quickbeam is such a comfortable boat. 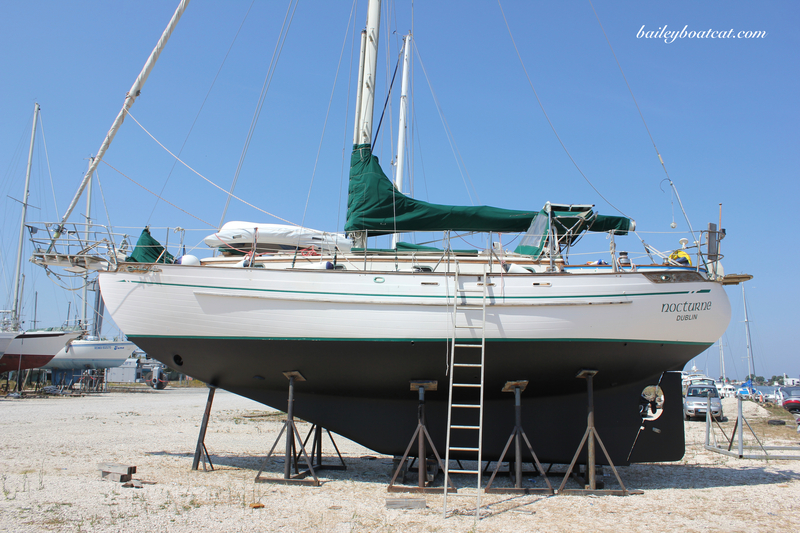 She’s a C&C who hails from Toronto Canada but she’s been cruising around the Med for eight years. …Quickbeam didn’t disappoint! Thank you for having me John and Bobbie! Have a great week evfurryone! Beautiful boat, beautiful boy, love from Monty, from west coast Canada! 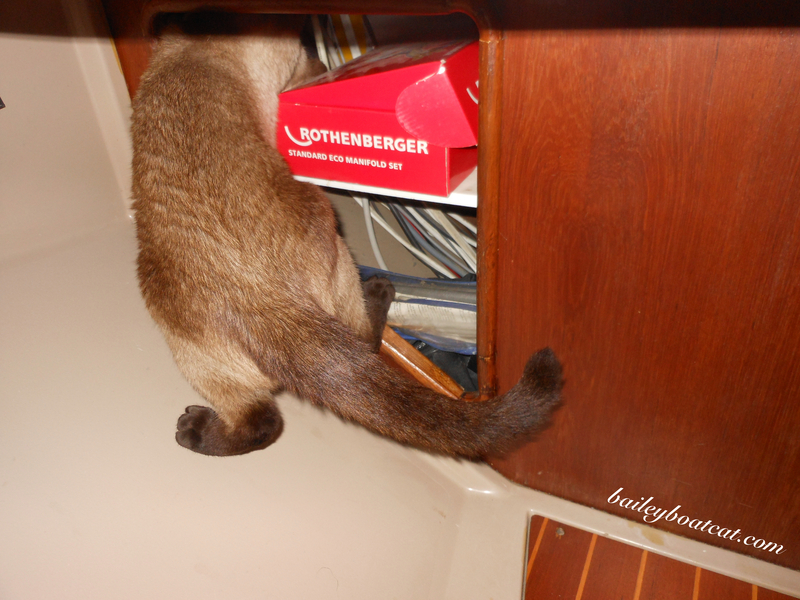 a very lovely boat and you looked like you had such fun poking into all of the nooks & crannies. You made yourself comfortable, Bailey! Awesome my friend. A well explored boat. That looks like a great boat. Wow! Cruising for 8 years? That’s amazing! 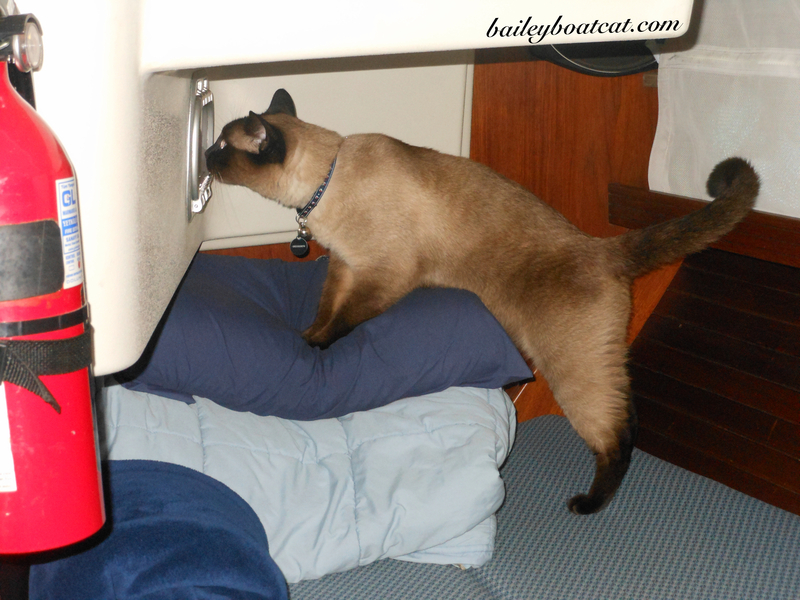 How much fun to explore the Quickbeam, Bailey! That boat does look comfy and fun to explore! Don’t they have a boat cat? 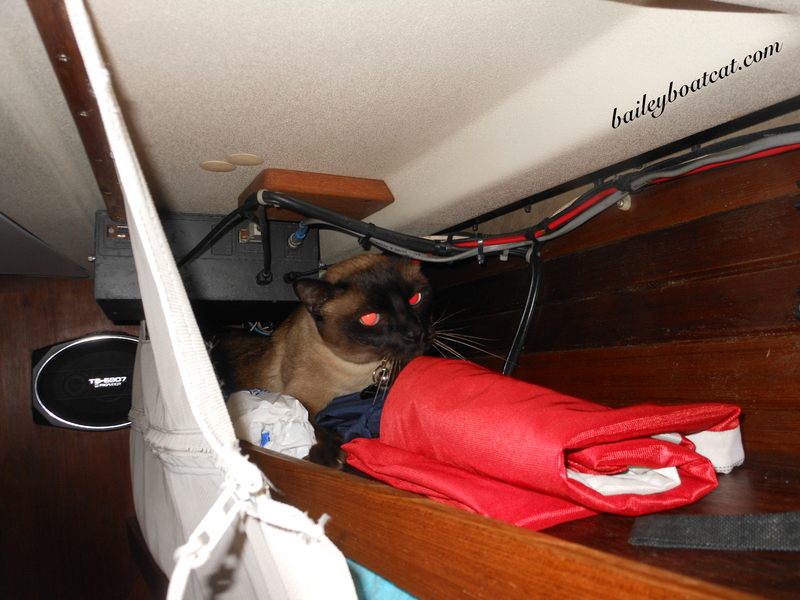 Beautiful boat and I’m not a bit surprised that you “sniffed” out the BEST hidey spot on board! Yur seckond foto iss beeuteefull Bailey!! An thee Qucibeam iss frum a place 3 hourss south of where mee an LadyMum livess!! That iss berry cool….